A new area of pavement at the NSW Container Terminal involved the construction of 34 post tensioned concrete slabs and infill slabs. The slab’s thickness in localized areas was found to be less than specified. The Contractor responsible for placing and finishing the concrete was faced with the choice of immediately removing and replacing the substandard section of a heavy-duty concrete pavement at a very significant cost or establishing the slab’s insitu flexural strength to determine the slab’s ongoing service life. The Contractor chose the latter. 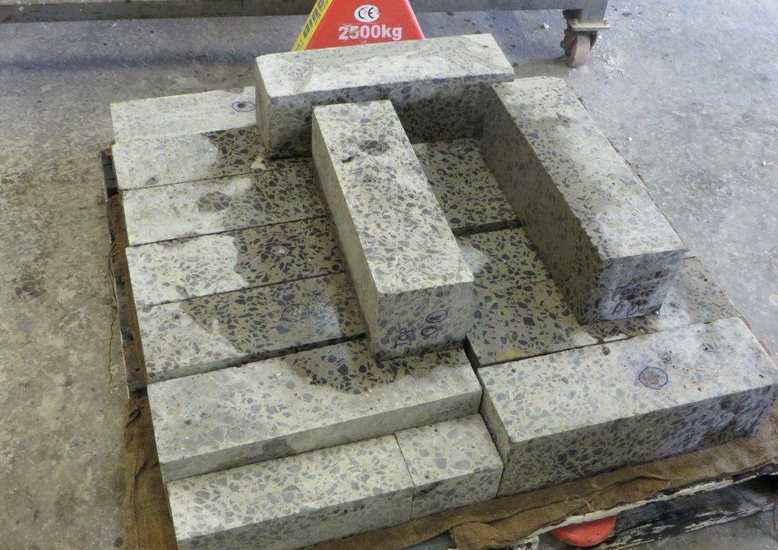 Graeme Hastie led the BG&E Materials Technology team to establish the insitu concrete flexural strengths and to determine an acceptable characteristic strengths for design purposes. The concrete mix was a typical HPC pavement mix having a binder content of 435 kgs (18% fly ash) and a water/binder ratio of 0.41. 16 beams were cut from the slab and tested. The calculated characteristic flexural strength exceeded the revised design strength requirement of 8.9MPa. Concrete cores were also retrieved from the end of the beams to determine compressive strengths. Two independent NATA registered laboratories undertook strength testing. The reported high tensile flexural strengths are contrary to what is generally accepted by structural engineers and suggest the relationship between compressive and flexural strengths in the Australian Standard AS 3600 – Concrete Structures, is unrealistically conservative. Accepting that high tensile flexural strengths are achievable would result in a more efficient and economic pavement design. The thinner section of the slab was not removed.